So small you can carry it in your pocket, store it in the glove box, or simply keep one in your tool box at all times. The push button switch is recessed for protection and is easy to operate. Simply push the button to cycle through the 4 light modes. 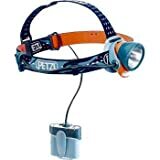 I've used Petzl headlamps for many years. In fact, my old Zoom is still working great - now demoted from mountianeering duty because there are so many lighter options with comparable performance. The original Tikka was great when it was first available, but the competition has far surpassed it in terms of value. At $35, the new Tikka plus just can't compete with comparably priced models from Black Diamond or Princeton. - 3 intensity settings plus a blink setting. - Ability to adjust light angle is great. - Unit is very light and comfortable to wear on one's head. - Great replacement for the traditional snake light. Ie light is exactly where you need it- ie where your eyes are looking. The Tikka Plus builds on the original Tikka/Zipka design. I also own an original Zipka (which has a retracting strap, but is otherwise identical to the Tikka) and have been happy with it as well. The original Tikka/Zipka were not tilt adjustable and the "Plus" models address that shortcoming as well. I have had my Tikka Plus out in the rain and snow and it's never had any trouble. The only water I would worry about with these headlamps would be saltwater. 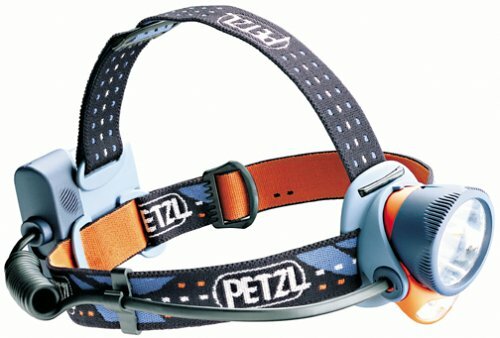 The battery lifetimes stated by Petzl are mostly realistic if a bit optimistic. After the first 10-15 hours the brightness drops off a bit, but it remains quite usable for close work --cooking, reading, walking, etc. In complete darkness it's amazing how usable the light remains even after literally days of use. Researched both products. 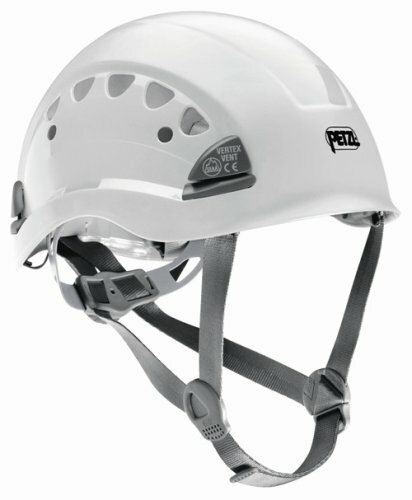 Finally, decided Petzel E44P was the one for me based on reviews and the overall product specs . 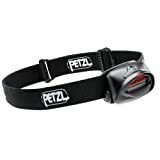 I purchased two Petzel headlamps and I'm happy that I made the right choice. - Offer great lighting when you are working in a tight spot. 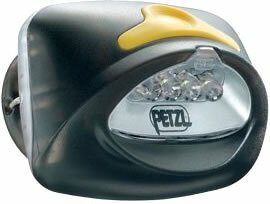 - Petzel E44P became my essential survival tool during the GREAT Blackout 2003! - Long Lasting battery - The batteries are over 6 months old and it is still going strong. Cons: Closing the battery lid was not easy. On/Off switch could be better. This is a nearly perfect headlamp. 1) Best battery life of any headlamp that I've seen. LED lamps, low power consumption, etc. mean that it easily gets 100 hours per set of batteries. 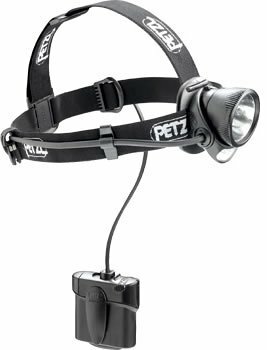 2) Lightest, most comfortable headlamp on the market, especially for daily use and/or "in your pocket, when I need it" use. 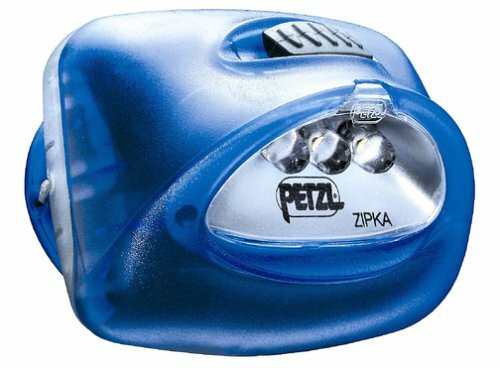 3) Terrific as a "go put the dog out" or "reading in bed" light. Bottom line: it's really cool; works great, can be packed away, and used as a hand lamp...get one. You'll love it. 1) There's a little warning slip in the package, but in case you miss that: to avoid unpleasant surprises, DO use two hands to take it off, so the rear pad doesn't jump off the back of your head and hit your hand. 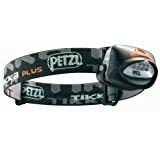 2) It's not waterproof, and not as secure as some of the higher-end sport headlamps. Therefore, when pursuing physically vigorous activities, you may want a headlamp that is a little more secure. This is fine, however, for jogging, biking, reading in bed, etc. Fantastic For Camping And Many Other Uses! I purchased my first Zipka as a stocking stuffer for my husband, HOPING he would use it. It gets used all the time! Taking out the trash, in the workshop, as a book light, around the house and of course Camping! My whole family has since purchased them. 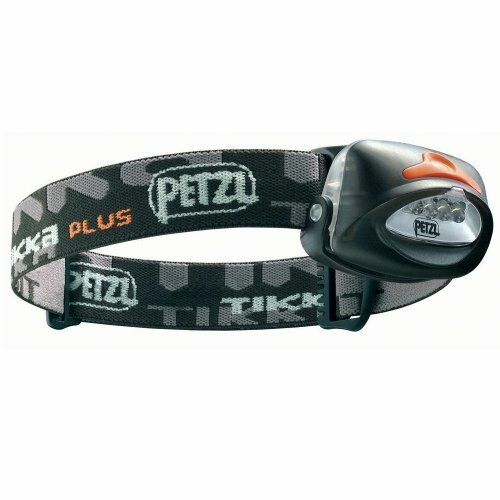 The battery lasts forever and its a great way to tend the fire or cook without having to set up a lantern or other light source. Its light weight and durable too. Even my small cousins have them and they work great! Wow- lasts forever, great product! This light never dies due to its LED technology. 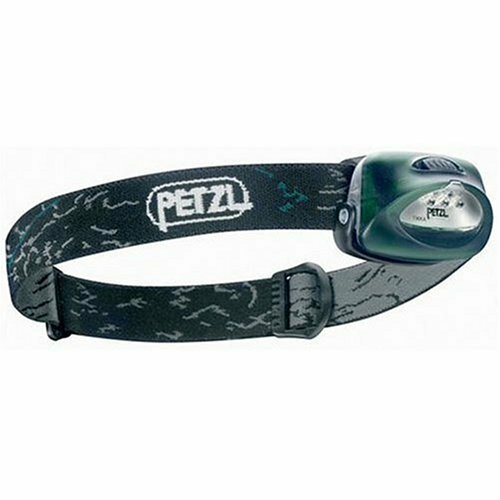 It is not extremely bright but definitely bright enough for illuminating your path at night. It is great for power outages or camping. I feel much safer walking or jogging at night in my neighborhood. Light-weight, very good attachment mechanism. This product is a major improvement compared to the standard head lamp, to the point that everybody should have one. It is a perfect gift in that it is (1) reasonable price, (2) usable by anybody, (3) sufficiently different that people are unlikely to already have it, (4) truly useful/safety feature as opposed to worthless junk that is most gifts. Lightweight, compact, and extremely versatile this one light can do it all. 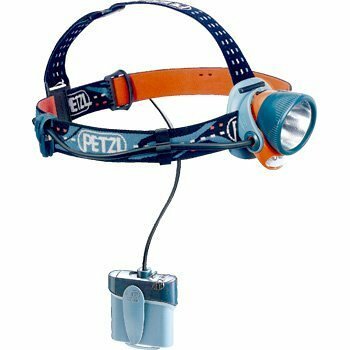 I dream of this headlamp. I have only had the oppurtunity to play with this lamp at the outdoor store nearby. I wore it around the store for almost half an hour. But it seems to be a super powerful and durable lamp. I like being able to setthe brightness, which this allows 3 settings. 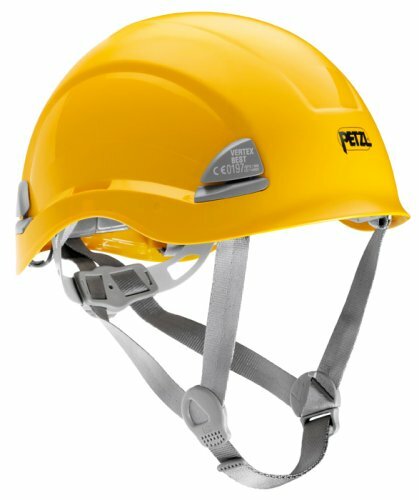 I need a new one for my caving helmet, the other 2 Petzl's, Tikka and Zipka, were not up to the harsh conditions, nor were they waterproof. I wonder if they will think me insane if I return and ask to submerge it in a sink or something. The other 2 did not need much depth, as they have no seals. Seems comfortable when wearing without the helmet, which I NEVER do in or around a cave. 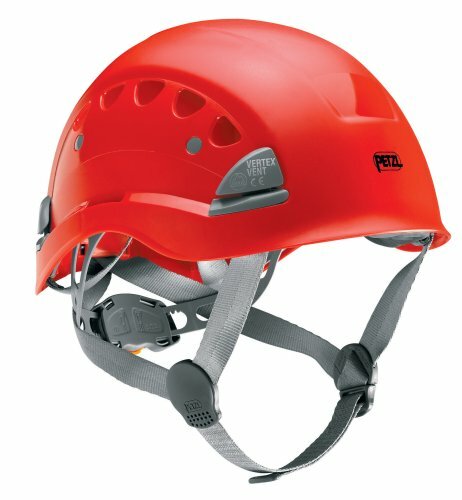 But the straps seem as they will stay put on my hemet without aid of duct tape. I especially like the tilting head. This way I do not have my head in my chest so I can try to see something, causes neck cramps.